You’ve probably heard. Larry O’Dea, the Portland Police Bureau’s Chief was sitting around a campsite in Eastern Oregon, back in April, drinking beer with his buddies, and shooting squirrels, when he accidentally shot one of his friends in the back. Let’s try to put aside that these guys sound like they are about sixteen. It’s hard to, but let’s try. More importantly, perhaps, is that they lied to Harney County law enforcement who were investigating the incident – stating that the victim apparently shot himself. Now, get this, it appears that this judgement-impaired group of 'hunters' (and I use the term hunters very loosely) conspired to lie to the investigating Sheriff’s Deputy in order to, apparently, conceal the Chief’s involvement in the shooting. I think there are laws against filing a false police report, but I will leave that to others to decide. Reportedly, most of those in this group of 'hunters,' with the exception of O’Dea, were former / retired Portland police officers – who should know better – one would think; but, nonetheless, decided to make-up a story. As it turned-out, the victim (not yet identified – and why I’m not exactly sure) was quite certain that he did not shoot himself. And, he should know. It has been reported that he will be OK.
Well, approximately one month has passed since the incident – and the s--- has finally hit the fan. The Harney County Sheriff didn’t like how things were ‘shaking-out’ and decided to turn the inquiry over to the Oregon State Police. The plot thickens. Now, 'accidentally shooting' someone is often accidental. Most people customarily admit what they’ve done; and their immediate and usual concern is for the victim. Apparently, O’Dea’s standards are not the usual. Tony Clyde Reed has reportedly been arrested in San Diego County by U.S. Marshals as he re-entered the United States from Mexico. It appears that Tony arranged his own arrest to preclude a potential incident. He and his brother, John Blaine Reed, have been charged with murdering Patrick Shunn and Monique Patenaude. Patrick and Monique’s bodies have not been located. The presumption of homicide is based on crime scene evidence developed by Washington State investigators to include the Snohomish County Sheriff’s Office. John Reed remains at large, presumably in Mexico. This opinion is my personal and professional take on what is occurring and Tony’s motivations. I have no inside information; and, of course, both Tony and his brother, John Blaine Reed, should be considered innocent until proven guilty in a court of law. It appears that Tony and John have had a falling-out, or have entered into an agreement that Tony should surrender to authorities. I suspect the former. Theory: As a fact, or as a tactic, Tony will declare that he had no participation in the actual murders; but that his involvement only occurred after John had killed the couple. Tony will agree to testify against John in exchange for leniency. He will probably admit that he assisted in covering-up the crime and in assisting his brother to escape imminent arrest. He will assist in locating the bodies. It should be understood that the extent of his disclosures, his veracity, and any evidence he might produce to prove his statements could mitigate subsequent sentencing. If convicted, neither John nor Tony would face the ‘death penalty.’ Regarding capital murder cases, the State of Washington had the ‘death penalty’ up until recently; but Washington Governor (Jay Inslee) announced a moratorium (in 2014) on the sentence of death in capital murder cases. However, this moratorium did not, does not, apply to those sentenced to death prior to 2014, and nine men remain on ‘death row’ in Walla Walla. Although it was first screened on the National Geographic channel, I watched “Brothers in War” on Netflix just recently. I highly recommend it. What can I say? It’s graphic, disturbing and it will touch your heart. It brought tears to my eyes. Some of you will remember the Vietnam War. For some of the younger folks, it’s just a much maligned, misadventure by our American military. That said, “Brothers in War” is a very personal account from those actually there. It’s history. Everyone should watch it. I served in Southeast Asia during the war (’68 – ’70). But, I must admit, with some residual feelings of guilt, my experiences were nothing like those of Charlie Company. 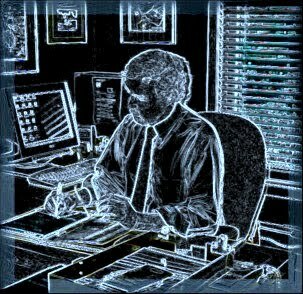 I was a Team Commander for the First Mobile Communications Group (USAF). Our motto was ‘First In, Last Out.’ Although the First Mobile was stationed in the Philippines, our mission was to deploy and set-up tactical communications equipment and navigational aids, as well as conduct necessary training for the subsequent, long-term operators - often members of the Army or Marines. When the Marines or Army were finished with the equipment, or it had been destroyed, we would again deploy to recover what was left. The equipment often contained classified equipment and codes. Some members of the First Mobile spent time in extreme combat assignments, including Khe Sanh. I did not. I was lucky. My experiences, my hardships were nothing compared to Charlie Company. 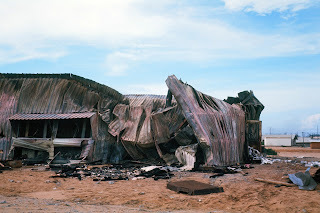 While at Chu Lai, I did experience a Viet Cong ‘rocket’ attack. The Viet Cong efforts were, generally speaking, remarkably inaccurate. They did score an accidental direct hit on the base PX (photo above), but it was at night and there were no casualties. Marine Corps’ spotters, during the hours of darkness, watched the jungle hillside which was some distance from the base. When they saw a flash, they would immediately hit the siren. Those of us sleeping in the base hooches had a few seconds to sprint to the nearest bunker – usually right outside the door – before the rocket hit. American helicopters were scrambled to ‘light-up’ the general area from which the rocket originated – efforts that were almost always unproductive. Personally speaking, an incoming rocket, or the far more frequent false alarms, did disrupt an otherwise sweat-drenched effort to sleep. But, it was a small sacrifice compared to Charlie Company soldiers’ sleepless nights in a mud-hole. One Vietnam experience has stayed with me. I once hopped an ‘in country’ transport on a C-130 moving Marines to their new base – from which they would be deployed. The pilots and Load Master were Air Force; but, other than myself, the rest were young Marines. I sat in the back in the jump-seats with this very solemn group of young men, all Marines. Nobody spoke. They looked so young. God, they looked young. As they say, wars (at least in those days with the military draft in place) were not fought by ‘John Wayne types.’ I wanted to say something to the young man next to me, but what could I say? Good luck? I don’t think so. Back to the documentary, Charlie Company took considerable casualties – killed and wounded. Upon completion of their one year tour, they (what was left of the original contingent) were flown back to the States. When they arrived in the U.S., happy to finally be home and to be alive, they were met by anti-war demonstrators who cursed them, threw things at them and spit on them. They were just boys – often draftees. They had nothing to do with the politics of the Vietnam Conflict. And did you know that some were actually ‘conscientious objectors,’ who acted as medics and carried no weapons – but, nonetheless, died trying to save others. Sorry, I don’t buy it. Who would buy it? Your wife? Your kids? Your grand kids? I doubt it. 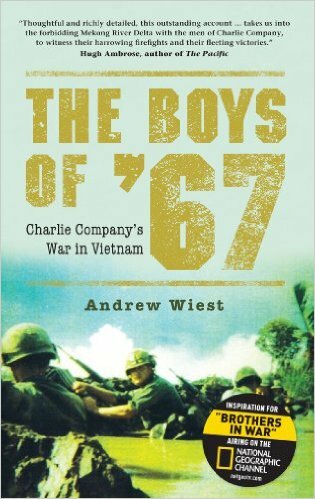 PS: Incidentally, the above documentary was based on the book by Andrew Wiest, ‘The Boys of ’67.’ A good book if you care to read more about these young heroes.